Cheesecake Vintage is a must for anyone who loves their skirts flirty and fifties with a side order of chic. It’s an Etsy store and more, and one I just had to flag up. 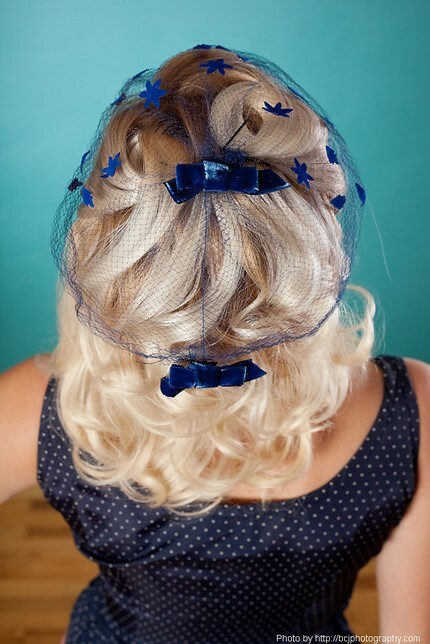 Take this blue milinary netting, so pretty – only $12 and you can add it to your favourite hat. This 1960s black, mod, mini-dress is so cute and would be a great option for the modern LBD. And you can’t argue with the price-tag -$54! Here’s one more I picked out, a 1950s sun dress – it really embodies the era for me. Some vintage is a bit hit n miss and you would look out of place wearing it today, but this is so fresh and cute, I could see lots of office workers sitting about in the summer sun having lunch wearing this type of dress wih some ballerina pumps. Peachy! Again only $38 – bargain! Wonderful Bristol fashion boutique, Shop Dutty, is featuring in a forthcoming issue of Suit Yourself Magazine and myself, ace photographer Elena Goodrum and the gorgeous Leah and Rhea as our models braved the November frost to show off the fabulous creations of Joh and Louisa, otherwise known as Dutty Girl and Buchi and Gosmos. The mag will be out in January but here is a sneaky peak at the results of our shoot. Now I have to say it, but neither girls are models but wow, they were so professional and we could practically use any of the images. Above: Leah models an exquisite blue prom dress and below, I fix Rhea’s straps mid shoot. Rhea models black and gold babydoll dress and clutch. Rhea models one of the shop’s famous tees coupled with a quirky purple tartan skirt. For more info and to see the full range, visit the shop at Stokes Croft in Bristol, right next door to The Pipe and Slippers pub. Following on from the last post (after a brief trip to the Emerald Isle) the following images are from the second of the two photo shoots that will be featured in Kerouac’s Dog magazine in October. It was great to get back to doing the make-up and hair styling again as I haven’t done so much recently and it was good to work with my sister, Heidi, who is building up her portfolio too. 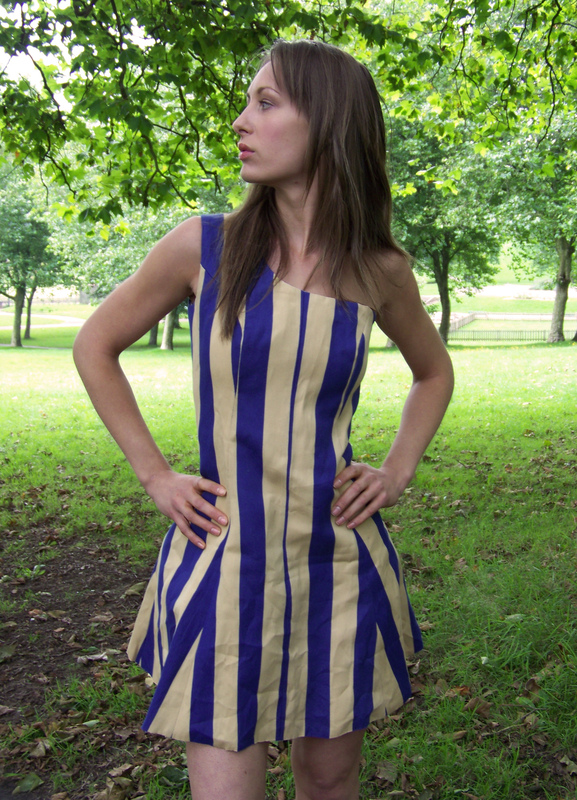 This time, we featured fashion designer, Rosie Parker who takes inspiration from re-using old items, such as her exquisite dresses made from vintage pillow cases or her stylish blue and white striped frock made out of deck chair fabric (fully lined!). We are sure that there will be much more from this talented lady in the future!